Joanne is a very highly skilled and highly regarded physiotherapist with a special interest in the treatment of musculoskeletal conditions including spinal pain, headaches, vestibular and the use of cutting-edge clinical technologies in improving patient’s outcomes. Her qualifications and experience place her in high demand, particularly by patients with complex needs. She has also been a key team member in implementing a Physiotherapist-led Screening Program for patients waiting to see a Neurosurgeon at the Mater Hospital, working with the Neurosurgeons and Allied Health team to deliver high-quality care and coordinate services for patients with spinal pain. Joanne has been recognised as one of Active’s Clinical Excellence Leaders: in this role, she travels between our clinics providing ongoing training and clinical mentoring for all of our outpatient physiotherapists. Joanne is also Active’s Research Manager. She works with our collaborators to design and undertake physiotherapy and healthcare research, and coordinates a portfolio of research projects and supports the development of research skills within our team. 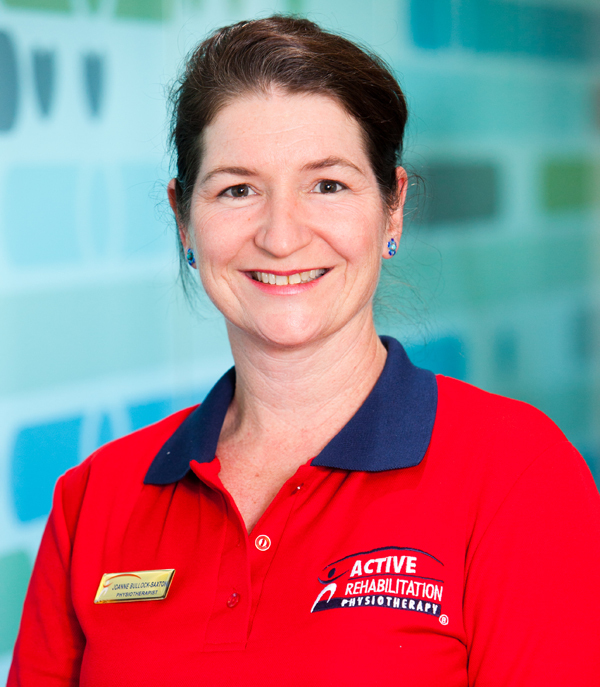 Joanne graduated with a Bachelor of Physiotherapy from the University of Queensland in 1984. She has worked as a clinician, clinical tutor and researcher. She completed a first class Honours degree in 1985, a PhD in Physiotherapy in 1992 and a Clinical Masters degree in Musculoskeletal Physiotherapy in 1999. She has spent over 20 years as a full-time Academic at the University of Queensland. Joanne’s studies and research reflect her love of the physiotherapy profession and her continual quest to improve diagnosis and physiotherapy practice. For the first 20 years of her professional career, Joanne was the Australian protégé of the late Professor Vladimir Janda, a neurologist and manual medicine doctor from Prague. He imparted his specialist understanding of the motor system and its control, which has provided an important foundation for Joanne’s practice. Joanne is author to over 30 peer-reviewed articles and has given over 40 national and international conference presentations. She was recognised by the Australian Physiotherapy Association with a prize for her contribution to research in 2012. She has been the recipient of grants totalling over $175,000, including being awarded a grant of $55,000 for research at Active.